This online workshop is an updated approach to establishing yourself as a reputable Lash Artist. 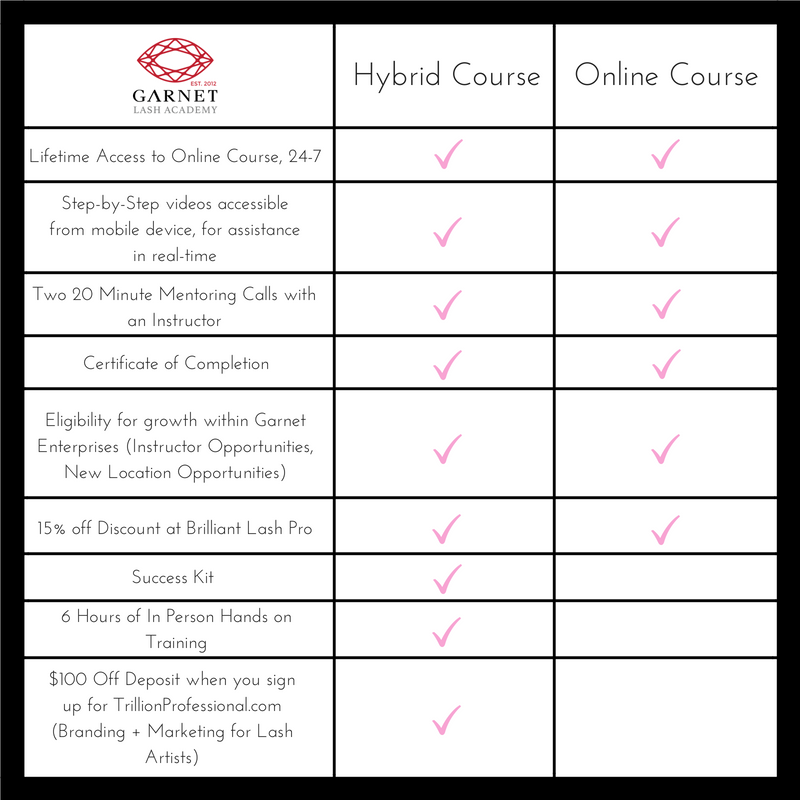 Step 1: Enroll online + gain immediate access to course materials. Step 3: Once course is completed, you will be sent a certificate of completion! Step 4: Join our heart-centered, Lash Artist community, The Lash Collective. Step 5: Schedule your included, 20 minute mentoring calls as needed within 12 months of your in-person class. You will have a lifetime access to the online course, which includes instructional videos and will assist you for years to come.